If you have yet to be informed, the second instalment of GreenFlicks is soon upon us! 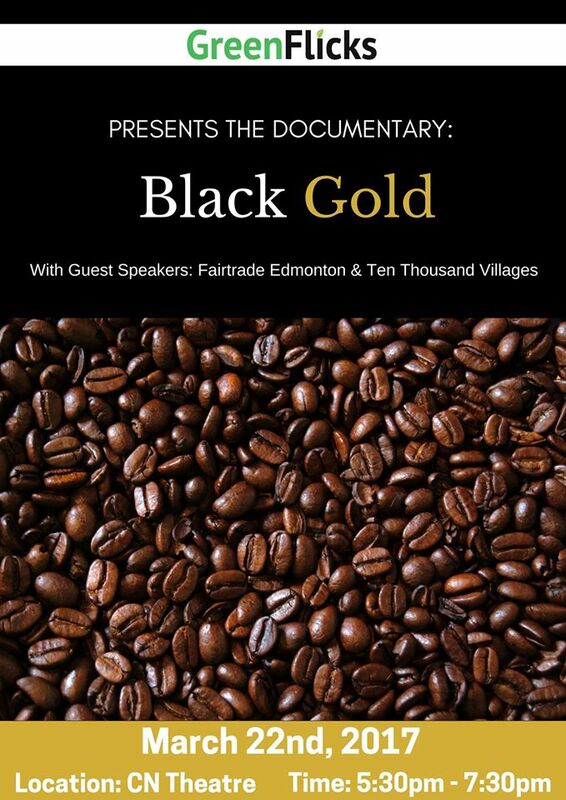 Join us March 22nd in the CN Theatre at MacEwan University City Centre Campus where we will be screening the documentary ‘Black Gold,’ which addresses the global environmental issue of fair trade and its role in the world of coffee and trade. The screening will be divided into two main segments, with an intermission in the middle designed to facilitate question and answer discussion; this will allow attendees the opportunity to share their thoughts and opinions on the solutions presented in the film. We look forward to meeting like-minded community members and would love to see you there!